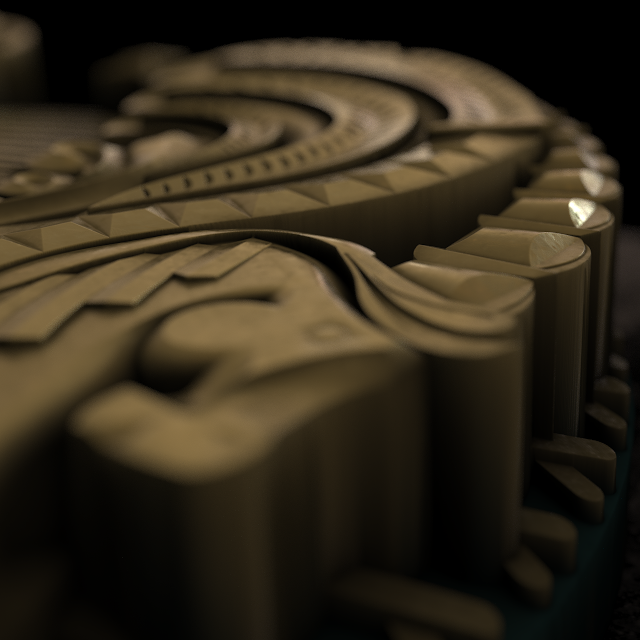 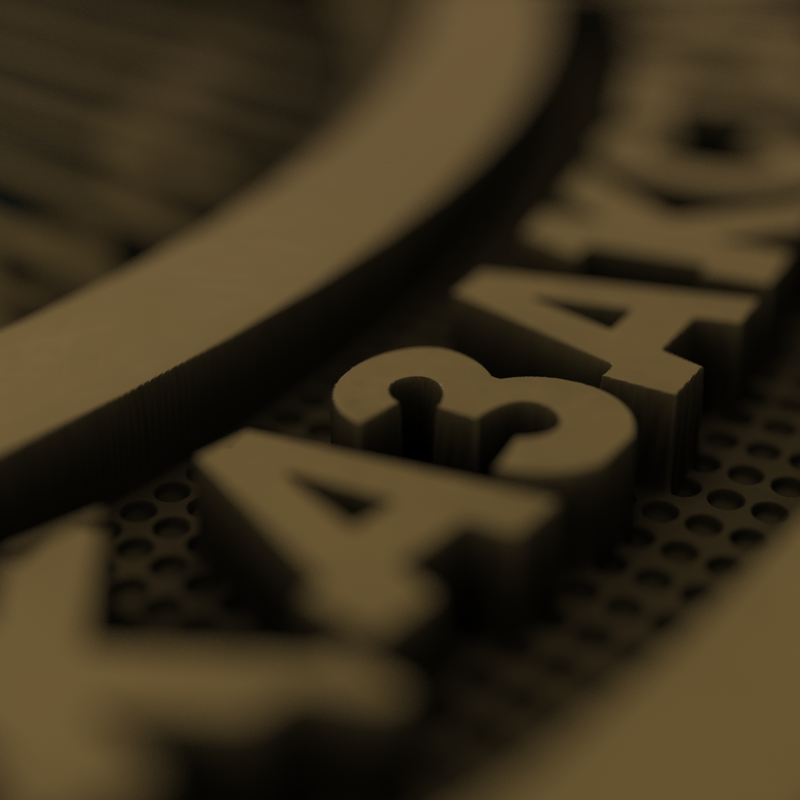 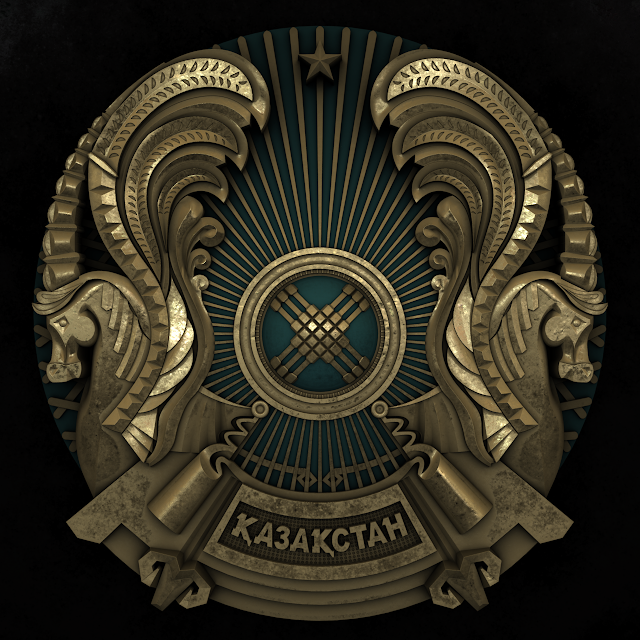 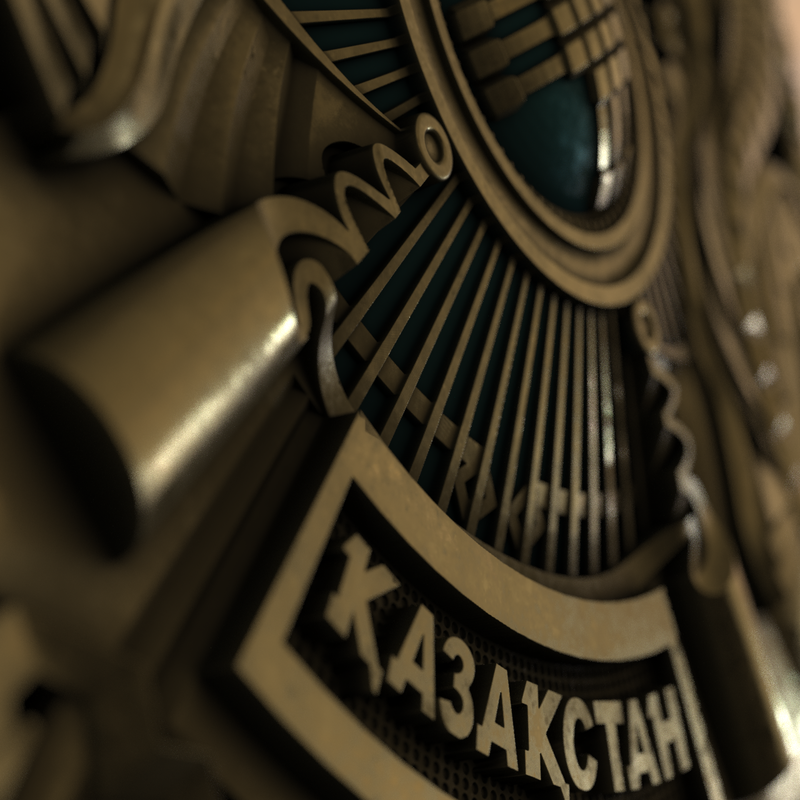 I've modeled The State Emblem of the Republic of Kazakhstan for CNC mould production purposes by using Solidworks. 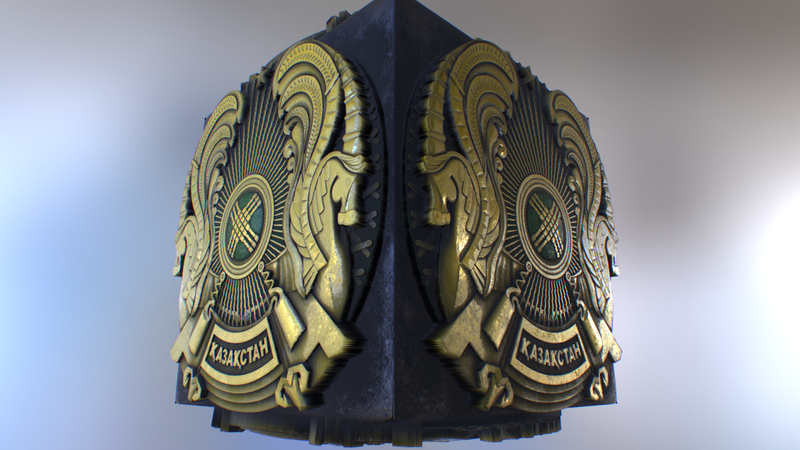 Afterwards as a hobby work, I decided to convert the emblem as 8k PBR maps by using Substance Designer. 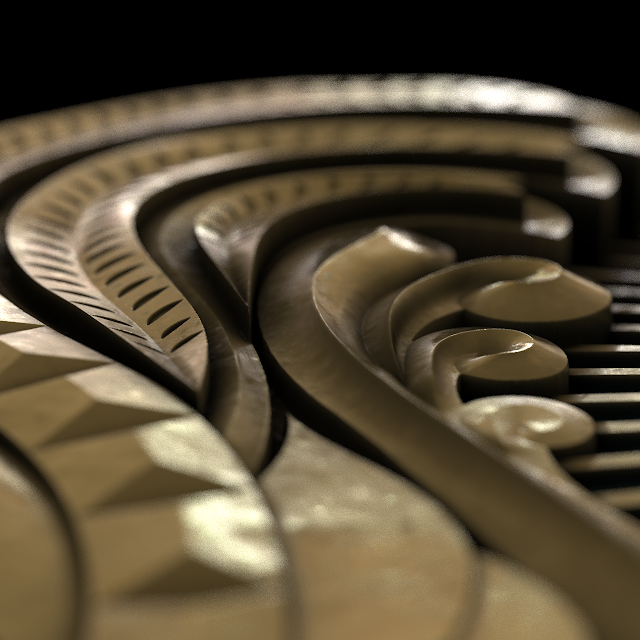 All renders are generated by the textures assigned to 1 polygon surface. 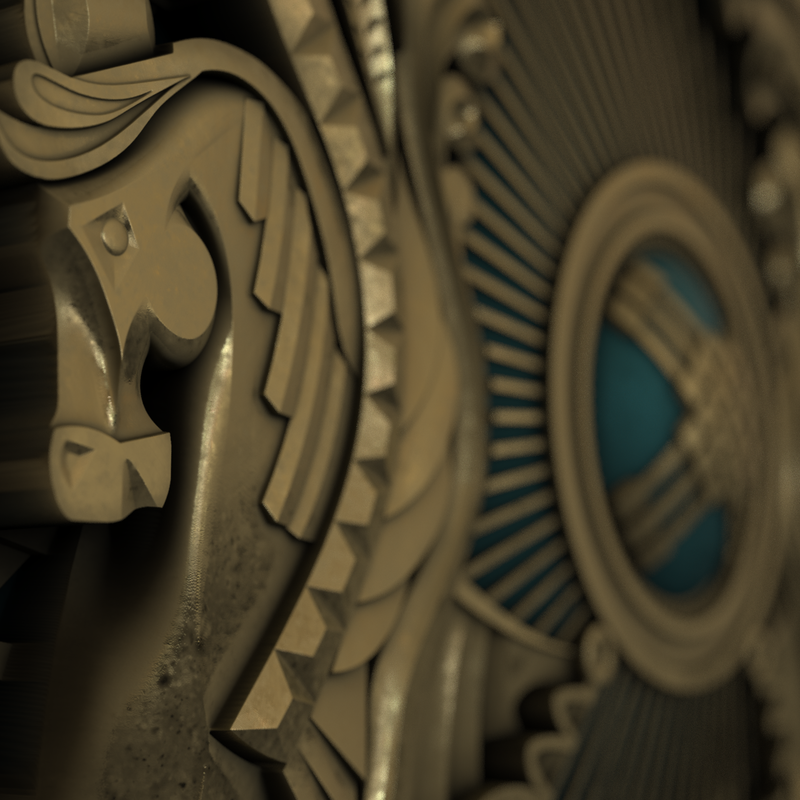 As workflow, first, I've rendered the model with isometric camera in Modo to get Zdepth, AO, alpha and material ID channels. Then I used these maps to generate PBR shaders with substance designer. 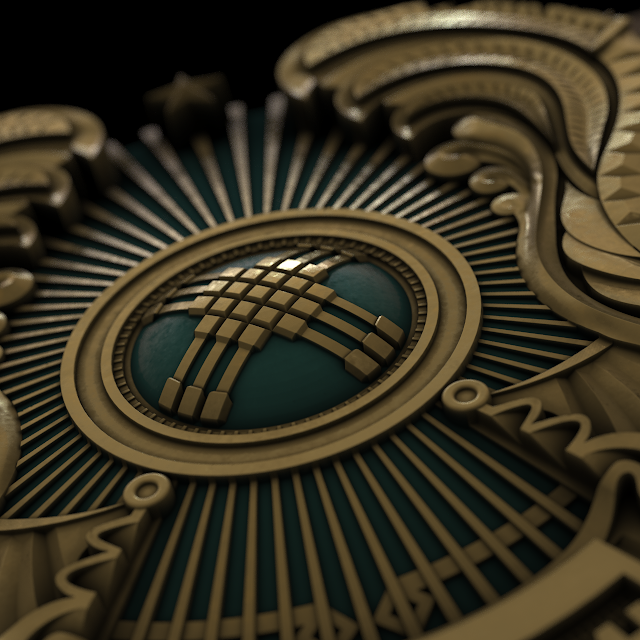 With the resulting maps I've rendered the model with marmoset viewer and finally with Octane Render. 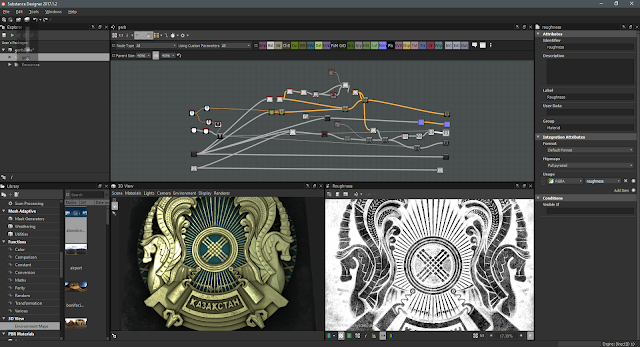 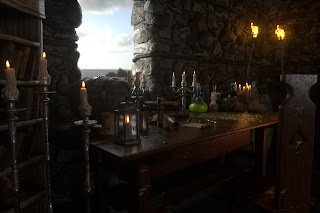 I've also added the nurbs modeling steps and marmoset viewer realtime capture as videos.